Image caption The crash happened in Lydieth Lea, Netherley at about 00:40 GMT, Merseyside Police said. A man has been arrested on suspicion of drug-driving after a woman was hit and killed in Liverpool. 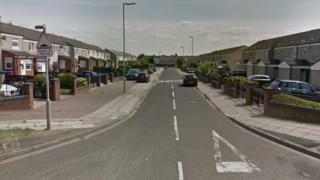 The 60-year-old woman was struck by a Ford Mondeo in Lydieth Lea, Netherley at about 00:40 GMT, Merseyside Police said. A 30-year-old man from Liverpool has been arrested and is being questioned by police. The force has appealed for witnesses.